Today’s profit-driven spammers are targeting exposed enterprises, resulting in lost user productivity, potential legal liability and increased burden on IT staff, infrastructure and budget. The unnecessary IT costs of managing the spam problem often include overtaxed mail server CPUs, storage, bandwidth and IT administrator time. 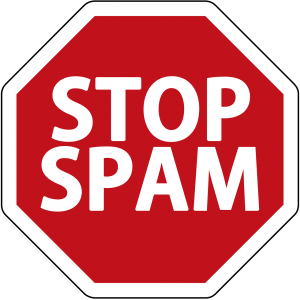 To stay ahead of spammers, you need a more effective solution to compensate for the growing volume of spam. This is where South Anna’s Spam Prevention Service comes in. As a preemptive email security service that sits between the Internet and your email gateway, the South Anna Spam Prevention Services (SASPS) prevents email threats from ever reaching your network. We use a nationally recognized leader in effectively stopping spam, phishing, viruses, directory harvest attacks and other email threats through its patented, multi-layer technology. No other vendor provides such wide scope and in-depth protection from email intrusions. Network availability is key to ensuring consistent email operation. SASPS guarantees 100% network uptime. A company’s email servers can become unavailable for many reasons – both planned and unplanned. In the event a company’s email servers become unreachable, our Delivery Manager dynamically queues inbound email until the problem is resolved. Queued email is delivered at a rate consistent with the message infrastructure’s ability to accept it. Because corporate email systems are constantly being upgraded, tweaked, tuned, streamlined or otherwise undergoing some kind of maintenance, this service is included as a standard feature – not at extra cost. Our service scans inbound email using three anti-virus engines: McAfee, SOPHOS and FPROT. The system checks for new virus definitions every 10 minutes, 24/7. This leaves your company’s IT staff free to focus their attention on other virus entry points, confident that our service has already removed all known viruses from the inbound message stream. Our advanced screening technology provides spam capture rates at better than 97% with falsely blocked messages occurring less that once per 10,000. More importantly, should such a “false positive” occur, our proactive Held Mail Report makes the issue known and correctable quickly and easily. We provide Spam and Virus Filtering for Microsoft Exchange, Group Wise, Notes/Domino, Oracle, Sendmail and Linux/Unix. Our Spam Trap safely removes over 97% of all spam and malicious content from your inbound message stream by using all spam identification techniques. To keep up with Spammers, our Spam Lab operates around the clock adding new rules every 2-3 minutes so your protection works like you do – every day! At no additional cost, we further cleanse the email stream of worms, viruses and other protocol-based vulnerabilities using three anti-virus engines and proprietary AppRiver detection systems. Anti-virus signatures are updated in real-time and require no administrative intervention. Our Gate Sentry makes your Internet facing mail systems invisible, providing protection from open-relay, Denial of Service (DoS), flooding, address harvesting and many other attacks. Our Delivery Manager technology enhances the reliability of incoming email by eliminating all downstream link problems or application abnormalities – planned or unplanned. Whether your mail system is not functioning due to a maintenance routine or backhoe, we will automatically queue your mail releasing it when normal mail functions are restored. Filter settings, capture rates, user and organization level quarantines are all under the direct control of the administrator through our tightly integrated web-based Management Console. Reports provide feedback on system performance including many statistics on held mail, top spam messages, top viruses and top victims.